Observing no borders to its affection, this border collie is stuffed full of love! 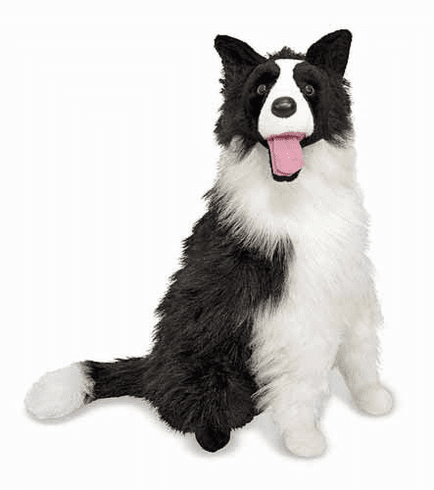 With excellent quality construction and attention to lifelike details, its thick, furry coat and doggy "smile" characterize a fabulous canine companion. Approximate Dimensions: 24" x 10" x 28"